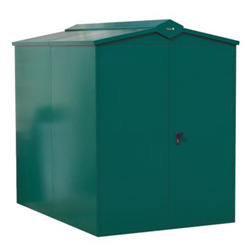 Find out more about our Apex Metal Sheds range. 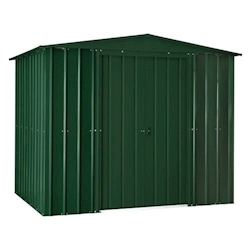 Here at Tiger Sheds we have a wide range of apex metal sheds to satisfy everyone’s needs. Metal sheds are a great option as they’re secure, low maintenance and durable and many people consider their apex metal shed to smartly modernise their garden space and take the traditional shed but put a contemporary spin on it. By choosing an apex metal shed doesn’t mean you only have a few options to choose from. Here at Tiger Sheds we have a huge range of apex metal sheds so there’s something to suit everyone! 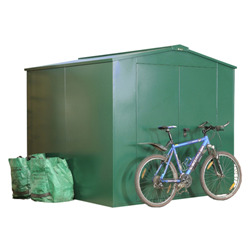 Whether you need a metal shed to keep your bike safe, somewhere ridged to store expensive gardening equipment or some extra space to work, there’s definitely an apex metal shed for you! All the sheds are designed to offer an increased level of strength and durability so you can store your belongings without fear of intrusion. They’re also ascetically pleasing so are an attractive addition to your garden space. All products come with free delivery across most places in the UK.